It's vital that dogs are provided with plenty of mental and physical stimulation to ensure that they remain happy, healthy and well-adjusted. They are social creatures and you must regularly interact with your dog and avoid leaving them on their own for too long. 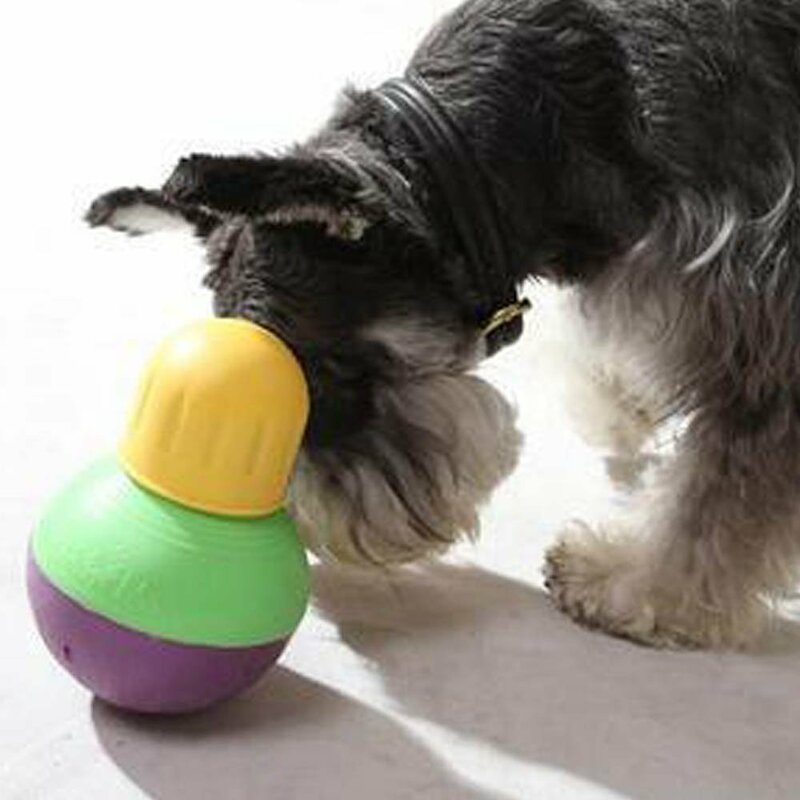 Whether you need to provide your dog with entrainment while you are out, curb their boredom-induced destructive behavior or you simply want to make their lives more fun, there are plenty of activities and ideas that you can introduce to them to enrich their lives. Please note, if you are using treats for training or play, then you need to include them in their required daily calorie intake. You do not want to overfeed your dog. Long walks provide lots of physical stimulation and leave your dog tuckered out. A sleepy dog who has released all their energy is far less likely to start displaying destructive behavior, such as chewing and digging, or barking for no good reason. 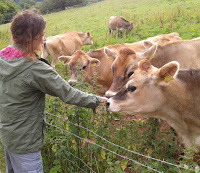 Walks also provide plenty of mental stimulation as they have to engage their brain and all their senses are invigorated by the variety of smells, sounds, sights and tastes that they experience. 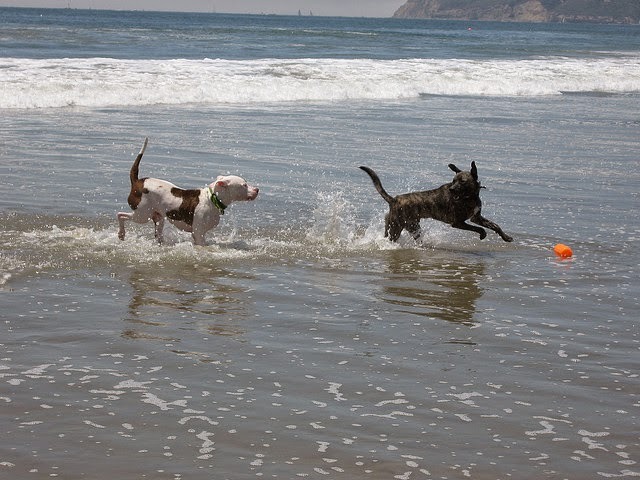 They may also meet a few other dog friends to interact and play with along the way. If you work during the day then come home on your lunch break to take your dog for a walk, or inquire in to a dog walking service. You should be aiming to take your dog out on an hour's walk a day. However, some high-drive dogs will need more, and some dogs, such as puppies or those that are elderly, will need less. Vary your walks and don't always take the same route. If you always leave the house and turn right, surprise them and turn left for once! Find new places in your area to explore. At the weekend plan long and exciting hikes to various locations. The exercise will be great for both of you! It's important that your dog gets time of the lead so that they can run at full pelt, enjoy themselves and experience freedom. Make sure that you are in a safe place to do so and that you have mastered the recall command first. Do you have other friends with dogs that you can invite along? These social interactions will enrich your dog's life. 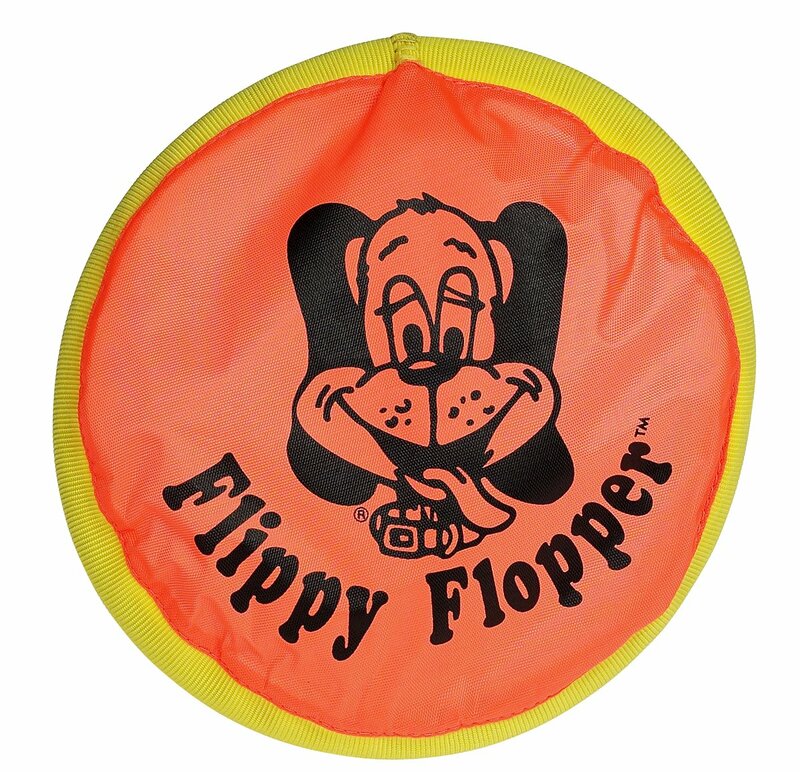 Take toys with you such as the Flippy Flopper Frisbee for dogs, which stays in the air a long time, allowing your dog to catch it. 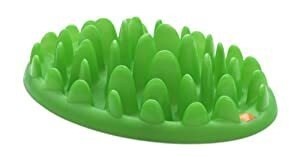 It is also made from rubber and nylon, which is soft on their mouth. Another favorite of mine is the Chuckit! as it allows me to effortlessly throw a ball much further than I could without it (my dog doesn't get that disappointed 'is that it' look), he gets a lot more exercise and I can use it to pick the ball back up without getting slobber all over my hands. While you are on your walk practice some obedience training, such as the 'stay' and 'come here' command. Taking your dog on lots of stimulating walks is great but to really enrich a dog's life you have to stimulate their minds too. I really recommend that you try out some dog mind games. The video below by Nick Benger shows four simple games that you can play with a dog and all you really need are some healthy treats and, for one of them, a towel. 3) Which hand is the treat in? Trixie, available at Amazon, make wonderful dog puzzles that are designed to combat boredom. Most of them involve your dog carrying out some basic problem-solving skills in order to access their reward, such as a food treat. As you are hiding all the treats teach your dog to 'wait' and then tell them to 'go find it!' Make sure you give them lots of praise when they are getting it right so that it is a positive social interaction. 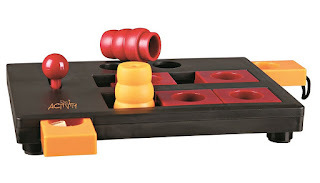 Interactive games should only be played with under your supervision as some of them contain small pieces. 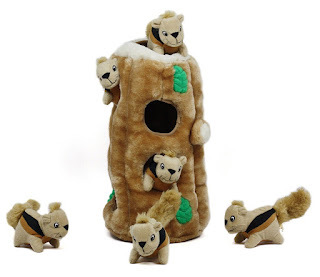 My dog also really enjoys Hide-A-Squirrel, available on Amazon, which involves hiding squirrels in a 'tree trunk' so your dog can seek them out. The squirrels have squeakers making them extra tantalising! Also, there are no food treats involved so you don't have to worry about overdoing it on the calories. Regular training sessions help prevent boredom and allow you and your dog to have some one-on-one bonding time. As you practice your teamwork it will help strengthen your relationship. Training is a great way to get your dog to use their brain. There are different types of training, such as obedience, tricks and agility. Keep the training fun and varied to maintain their interest. Obedience Training: Obedience training will not only be mentally stimulating for your dog but it will help instil and improve their manners. 'Sit', 'stay', 'come', 'down', 'leave it' and 'heel' are some popular commands. Don't forget to practice your training not only while you are at home but out on your walks too. 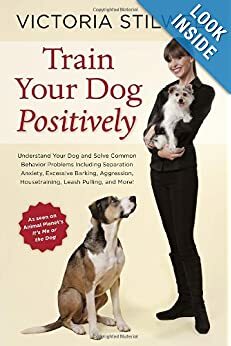 I am a fan of the dog trainer Victoria Stilwell as she puts a big emphasis on positive reinforcement and her techniques are very successful. is a 5-star rated item on Amazon. Tricks Training: Teaching your dog tricks is fun and more lighthearted than obedience training, so it's good to switch between the two. 'Roll over', 'shake', 'bow' and 'play dead' are just a few of the tricks that you can teach your dog. 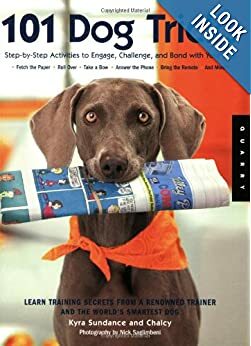 101 Dog Tricks: Step by Step Activities to Engage, Challenge, and Bond with Your Dog, is the clearest, biggest and best trick training book I have ever bought, with tricks for every skill level. 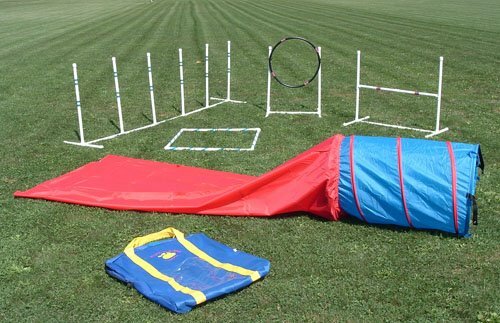 Agility Training: For those who are really seeking a challenge and a new hobby, that both you and your dog can enjoy together, try agility training. Your dog will learn how to tackle various obstacles, such as tunnels, jumps and weave poles. 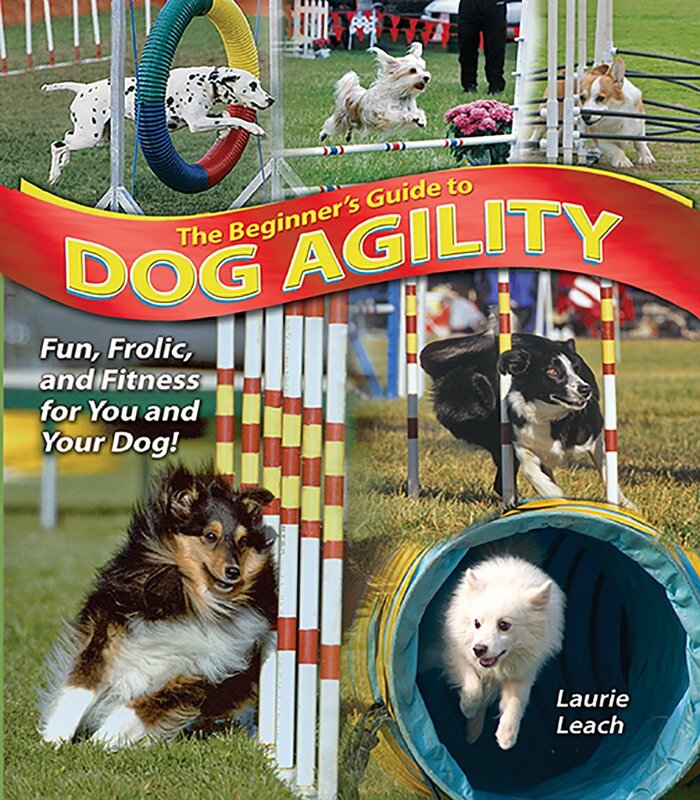 You can either join an agility club or get an Agility in the Bag starter kit, as well as The Beginner's Guide to Dog Agility book, and start training your dog at home or in the park. A Walk Prior To Leaving: Before you go out take your dog on a walk to tire them out. A tired out dog is far less likely to be destructive. Consider hiring a professional dog walker if your dog is to be left on their own for a long period of time. 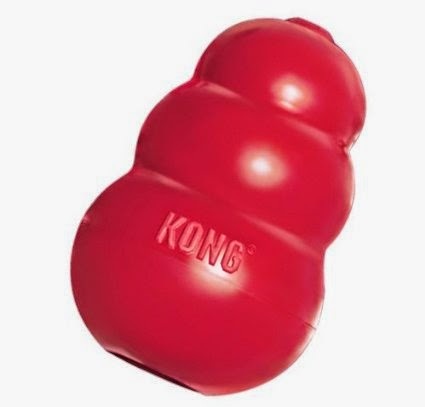 The Kong: A popular way to keep your dog occupied while you are out is to give them a Kong, which is a rubber chew toy, and smear peanut butter inside it. You also put it in the freezer overnight so that it takes them longer to lick all the peanut butter out. Freezing it is also a great trick for hot summer days. The Kong is a 5-star rated item on Amazon. Sound: Leave the radio or the television on so that your dog doesn't feel so alone. 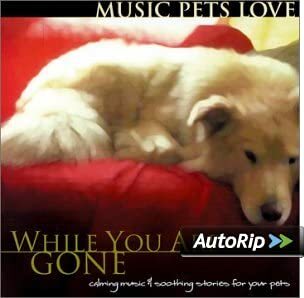 You can also buy calming music CD's that have been especially made to play for dogs while you are gone. Listen to sample on Amazon. Feeding: Before you go out try hiding treats around the house for your dog to find, or hide treats in a cardboard box filled with towels that they have to dig through. 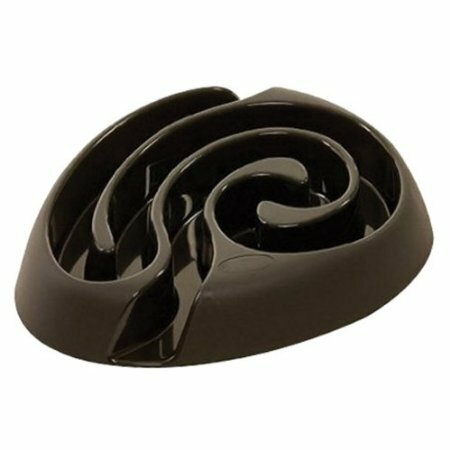 There are also feeders and bowls that require some problem-solving in order for your dog to access their food and they make meal times more of a challenge. They will turn a 2-minute gobble into a 40-minute brain-engaging experience. I am really excited to try out some of these ideas. I actually really like the idea of some training, hopefully you can teach an old dog new tricks! Special music CDs for dog, now that is cute! This post gives some pretty neat ideas for keeping your dog out of trouble while you are away. Many dogs do exhibit destructive behavior while their owners are at work, or otherwise away from home. The author says that most dogs who exhibit bad behavior while their owners are away simply are not getting enough exercise. Hi there, there are a variety of reasons that dogs may exhibit undesirable behaviour while their owners are out, but one way to help to prevent this is to take them on a long walk prior to being left alone to help release some of that pent up energy and tire them out. Hope that helps clear things up. Thanks. Thanks for sharing my video Kate! It is a brilliant video and worth a share! You and you dog are amazing together and he is very lucky to have such a caring owner, I hope others will be inspired too! I take my dog on at least three 30 minute walks a day. In the morning before I go to work, during my lunch break, and we go to the park after I get home at night so he can run without a leash and interact with other dogs. He has no shortage of toys, including a kong and a toy that has a water bottle inside that he loves. However, he is still being destructive when I am not home. One thing about him is that he is not used to being alone. He has always had another dog. Do you think adding another, older dog to the house will help with his boredom? Many papers have been written on dogs need to learn socialisation as a puppy usually before 4 to 6 months of age is over. If you try and socialise a dog later in life, or socialise a dog that has been isolated or punished regularly, your task is much harder.